Apple's help bot Siri is getting sassier by the upgrade. 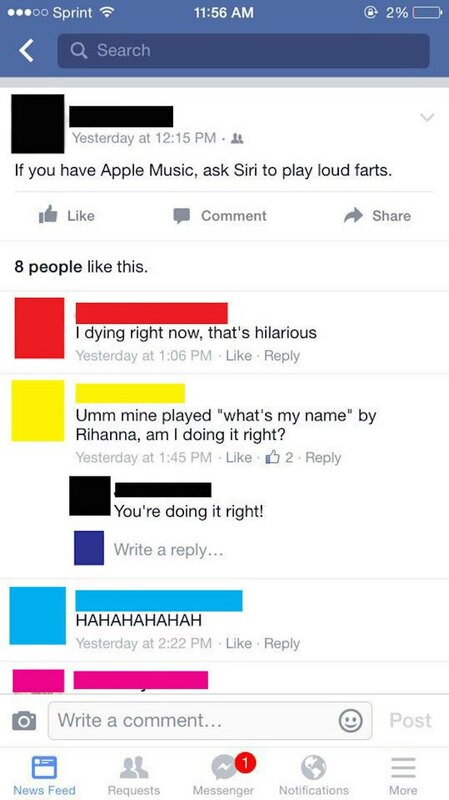 A group of Facebook users have revealed that upon asking Siri to 'play loud farts,' she will attempt to play "What's My Name" by Rihanna. The experiment seems pretty consistent across users. Even if you don't have the song in your phone, she will still attempt to play it.